We've needed new bedding for quite a while and have put it off. For the last couple of months, I haven't been able to shake the importance of new bedding and felt it was so important that this get taken care of as soon as possible. I realized that it was quite literally an issue of self-care. We spend a great deal of time in bed, sleeping, our bodies re-charging, re-storing, healing. It's important to rest well to live well. Huey knows this well. 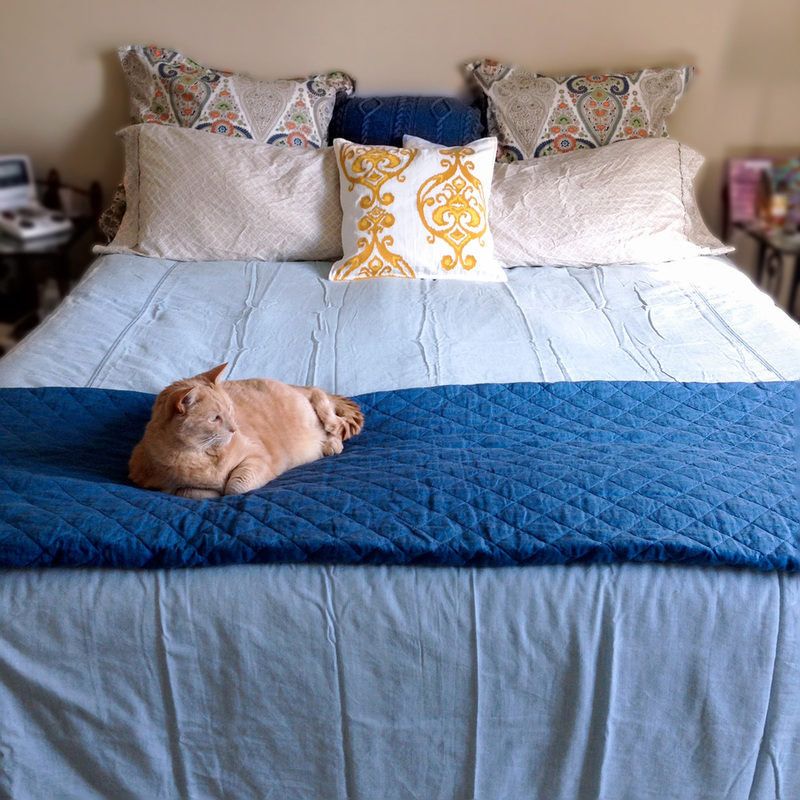 And he seems quite happy with our new bedding, doesn't he?